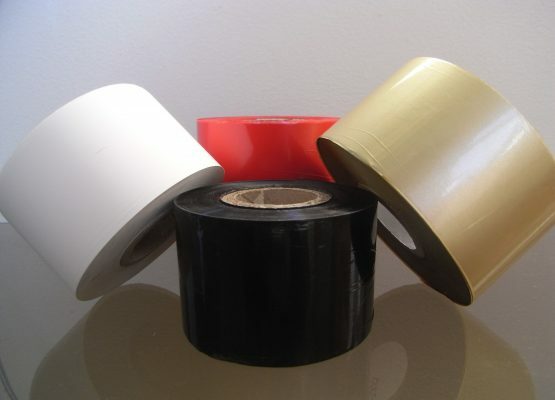 Thermal transfer ribbons and foils are available in variety of colours and widths for different applications, machines and requirements. 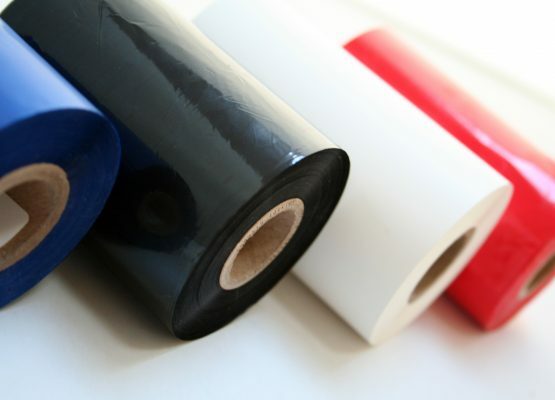 They are a combination of wax and resin which has been fully tested to ensure maximum durability and vibrancy on our extensive range of print-ready sleeving and markers. 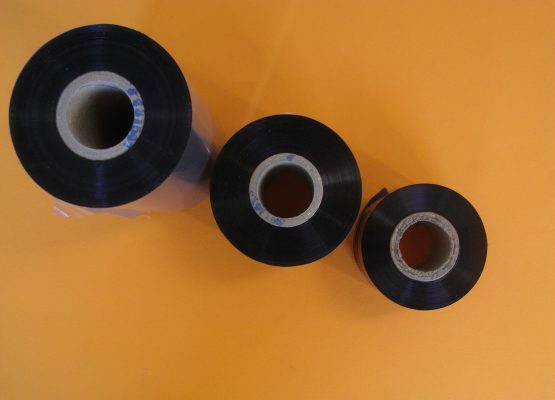 Printasleeve’s extensive experience and expertise in printing has enabled us to develop a range of thermal ribbons and foils suitable for the printing of all manner of heatshrink sleeving and cable markers from our own extensive range and beyond. 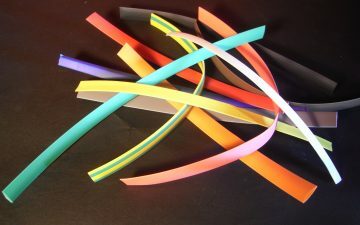 Each ribbon is based on combined formulas of wax and resin, the exact composition of each varying to produce best results according to different factors. Resin is particularly abrasion and scratch resistant. It also performs well when subjected to gasoline, alcohol and other solvents. Wax gives an unrivalled depth and vibrancy of colour even where printing is particularly detailed. All ribbons are guaranteed to produce durable quality printing on the many materials we offer, and we are always happy to advise ensuring the optimum outcome for your application and specific need. Where other label and marker substrates are in use, we have the expertise to guide your choice. As all ribbons and foils are used by us, service is fast, reliable and in many cases delivery is next day. Premium black ribbons offer strong environmental resistance against smearing and chemicals. Print quality is reliable, sharp-edged and of a quality to maximize bar code readability and image clarity. Mark permanence, adherence and resistance to solvents passes MIL81531 and MIL-STD-202G on tested substrates. 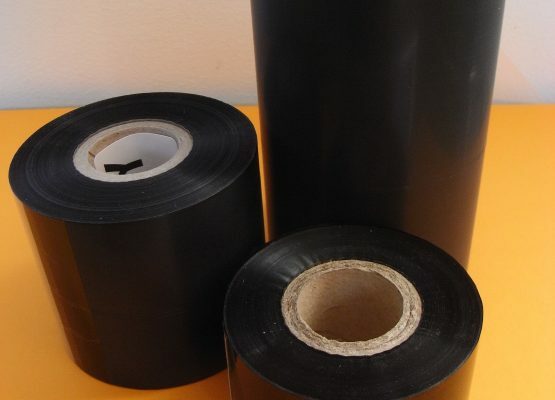 Standard black ribbons are high density with good solvent, high heat resistance, and super scratch resistance. Print quality is excellent in the majority cases. Mark permanence, adherence and resistance to solvents passes MIL81531 and MIL-STD-202G on tested substrates. Economy black ribbon is a good all-rounder offering sharp, durable results for most standard applications. 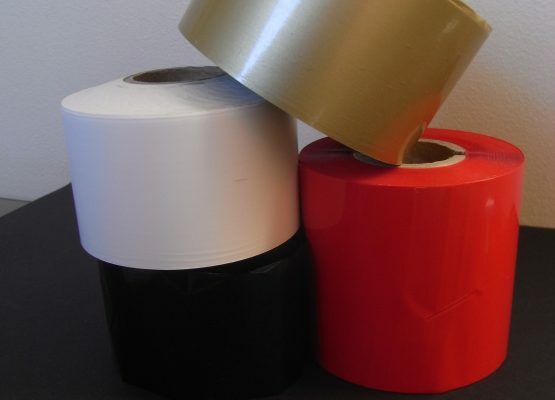 Currently available in white (other colours to be added as testing is completed), colour ribbons are suitable for marking on coloured and black sleeving and labels where black print is not the preferred choice. Metallic ribbons offer durable quality gold or silver print and are an alternative to standard black and white print.